It’s blue skies and the smell of freshly cut lumber at Solons Alley Residences. 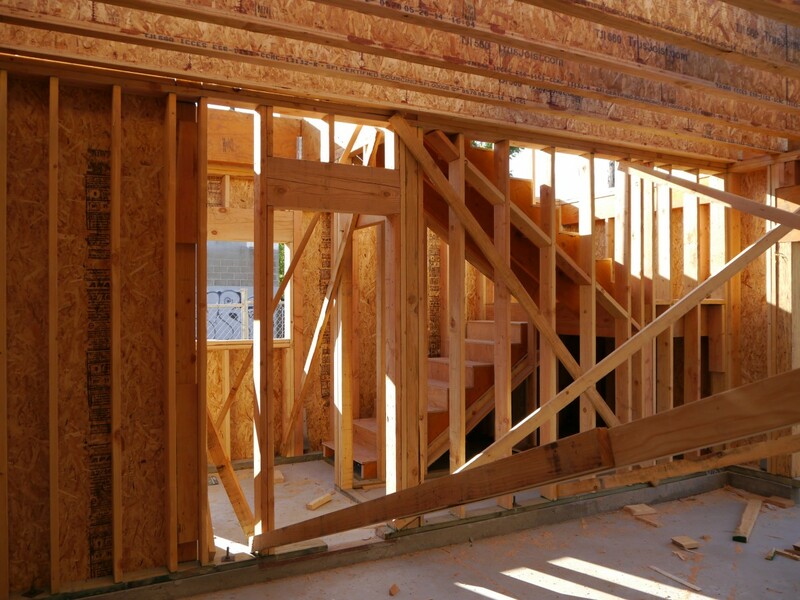 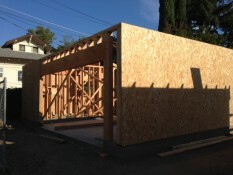 Framing is well underway on the two 1,452 square-foot residences facing the alley. 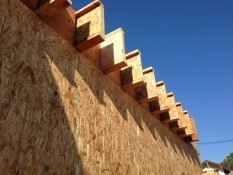 This phase of construction allows a good look at the underlying structure. 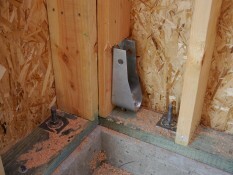 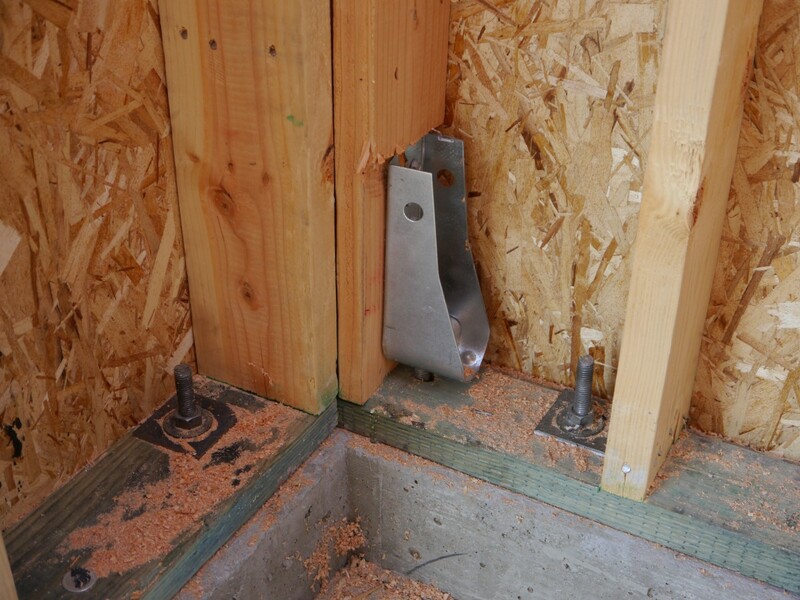 Details such as the anchor bolts that keep the wall attached to the foundation are visible as well as the hold-down hardware installed at the end of plywood shear walls. 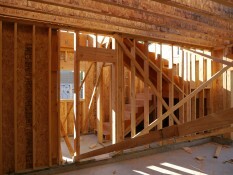 Header beams are made of dense laminated wood, which increases the load-bearing capacity. 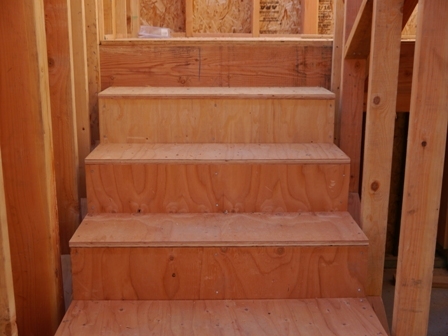 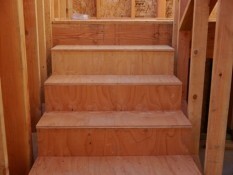 Other craftsman touches include the 1 1/2 inch gap on either side of the stairs that will allow the drywall and trim board to slide into place without notching each step.